Northwestern College | Graduate School & Adult Learning | Teacher leadership M.Ed. Earn your M.Ed. in Teacher Leadership online. You're a great classroom teacher. Your lessons are aligned with standards, differentiated, enhanced with technology and authentically assessed. Now you're ready for more. 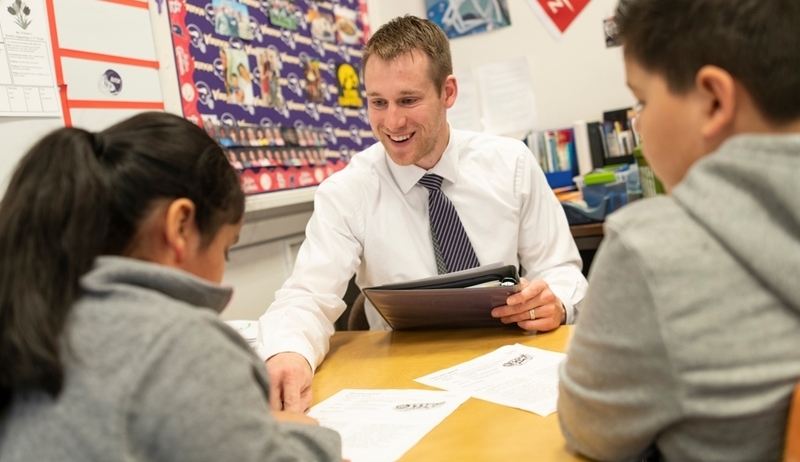 With Northwestern College's online Masters in Teacher Leadership track, position yourself for career opportunities as an instructional coach, content expert, peer mentor or lead grade-level teacher. Earning a graduate degree doesn't have to cost you time away from your other responsibilities. Northwestern College's online Masters in Teacher Leadership means you can take classes and complete your coursework whenever it's most convenient for you.